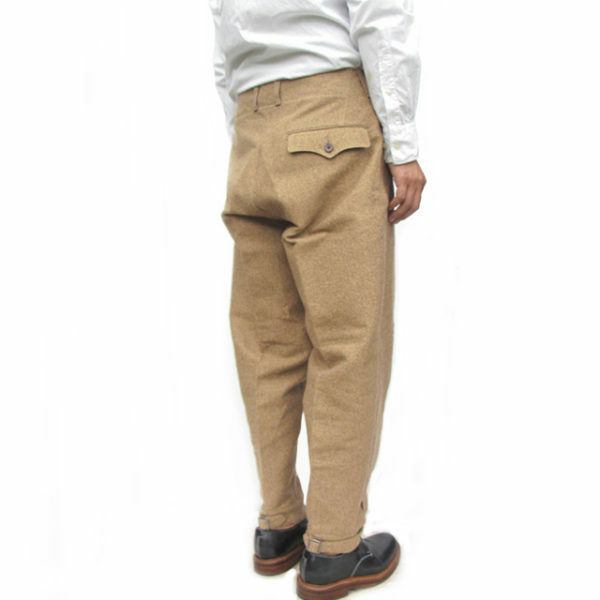 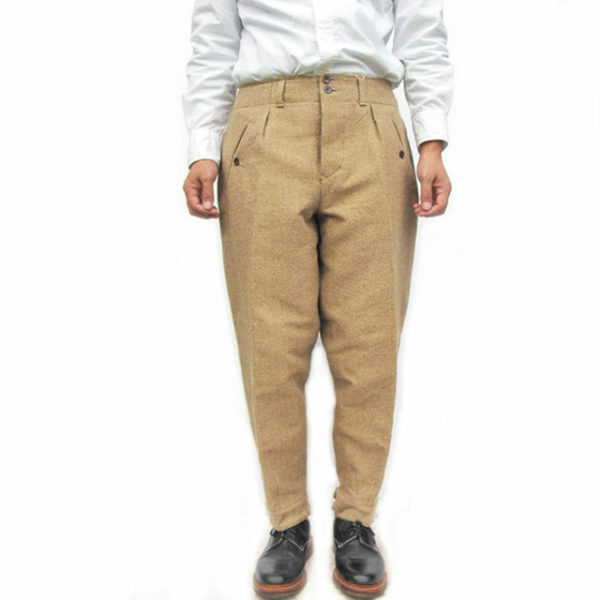 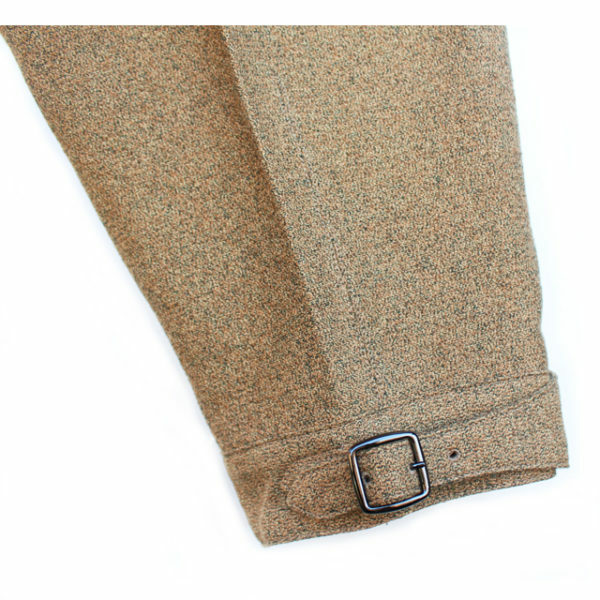 Haversack military peg leg trousers. 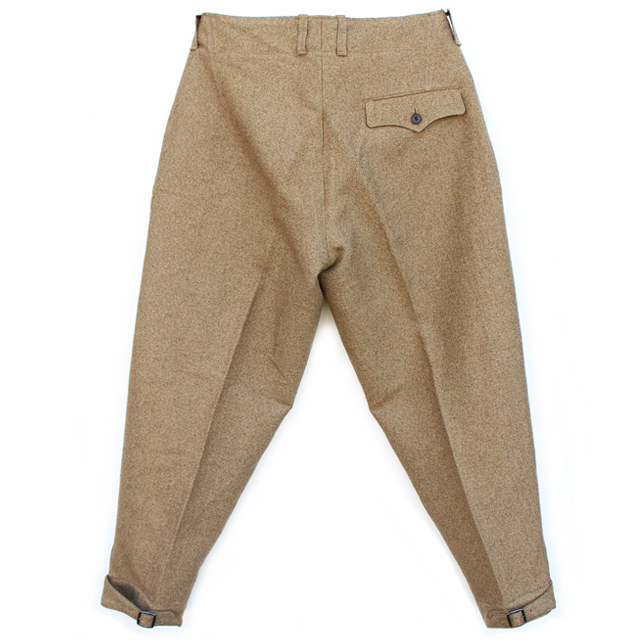 Based on vintage European military trousers and re-created with modern twist and top quality fabric. 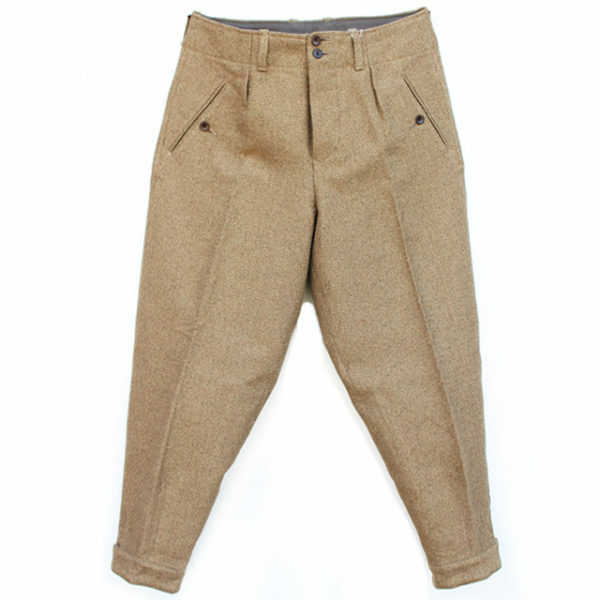 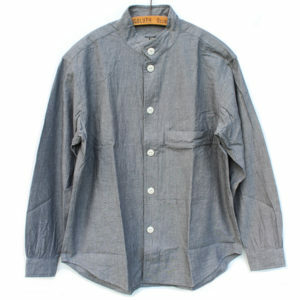 Made from their original luxury cotton and wool mixed twill fabric that is solid and medium weight. 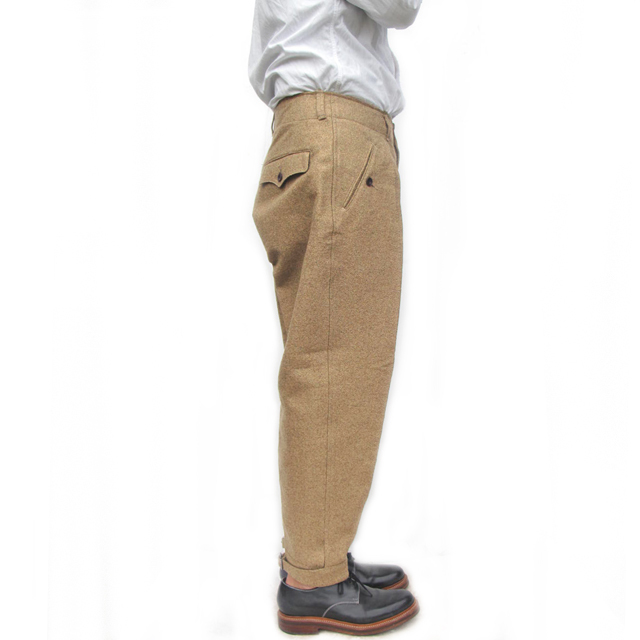 Iconic peg leg silhoueete, very roomy around the top part and goes very narrow towards the bottom. 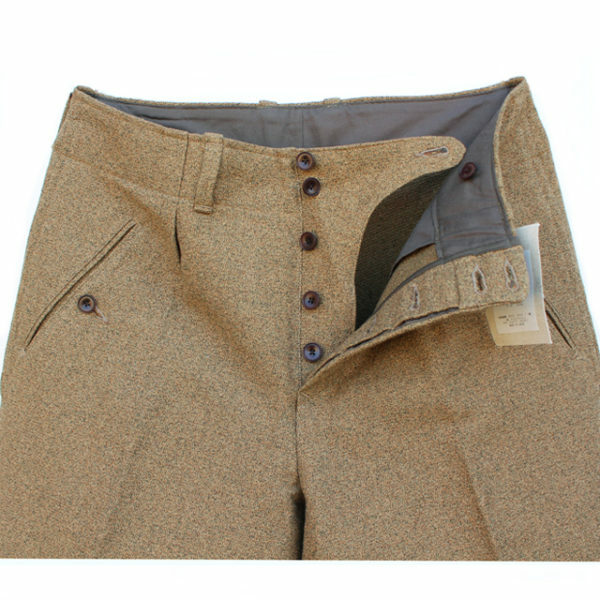 The leg opening can be adjusted with the metal buckle. 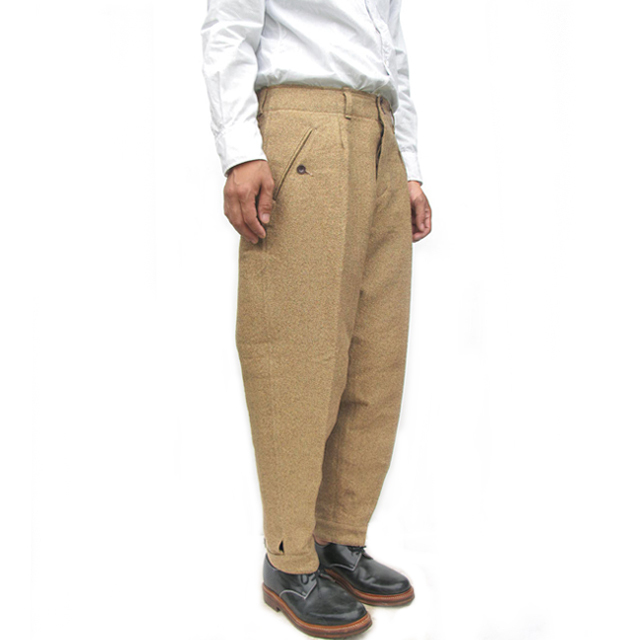 The trousers features have three pockets with button fastener and button fly.